A t-shirt can become a canvas to express oneself, becoming a piece of total originality. 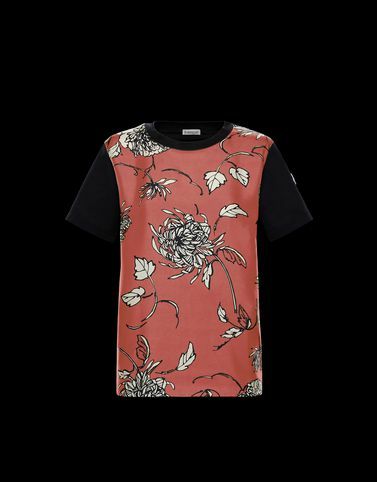 In this case, half of it is detailed in cotton and the other half in a silk floral print. Through its creative lens, Moncler faces the challenge to make even the most basic garment one of a kind. Do not wash; Do not bleach; Do not tumble dry; Ironing maximum temperature 110°C - without steam; Dry cleaning in tetrachloroethene - mild process; Do not professionally wet clean; Dry flat; Wash separately; vaporizing allowed only; It is advisable to wash and iron the garment on reverse.